Chef Special Non-Veg There are 8 products to choose from. Takeaway Lanzarote - Restaurants Playa Blanca Boneless chicken cubes simmered in coriander sauce cooked to perfection. 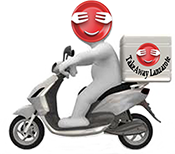 Takeaway Lanzarote - Restaurants Playa Blanca Chef's special signature, dishes an Indo-Chinese preparation. Takeaway Lanzarote - Restaurants Playa Blanca Tender lamb treated with onion, tomatoes and chef's special spices medium hot. Takeaway Lanzarote - Restaurants Playa Blanca Brain of lamb cooked with onions, tomatoes and grounded spices, scrambled. Takeaway Lanzarote - Restaurants Playa Blanca Minced lamb cooked with onions, herbs and chef's special spices. Takeaway Lanzarote - Restaurants Playa Blanca Lamb legs seasoned and cooked with chef's special Masalas.